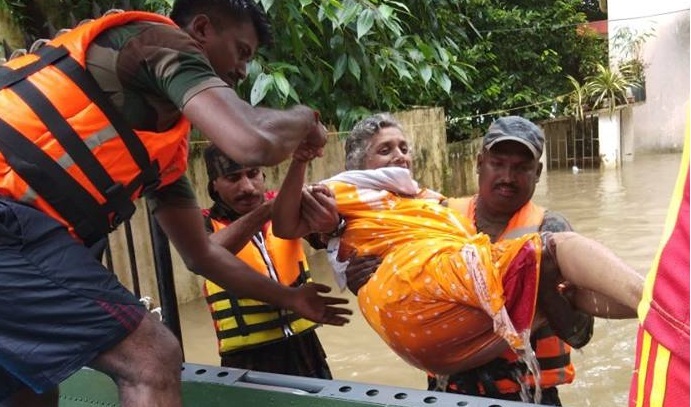 The High-Level Committee chaired by the Union Home Minister, Rajnath Singh, approved the additional Central assistance from National Disaster Response Fund (NDRF) of Rs 7214.03 crore to 6 States and one Union Territory, viz. Rs 317.44 crore to Himachal Pradesh (floods & landslides), Rs 191.73 crore to Uttar Pradesh (floods), Rs. 900.40 crore to Andhra Pradesh (drought), Rs. 127.60 crore to Gujarat (drought), Rs. 949.49 crore to Karnataka (drought), Rs. 4,714.28 crore to Maharashtra (drought) and Rs. 13.09 crore to UT of Puducherry (cyclone). The meeting was held here in New Delhi today to consider the additional Central Assistance to these six States and one UT, which were affected by floods, landslides, cloudburst & cyclone Gaja and drought (kharif) during 2018-19. The Union Finance Minister, Piyush Goel, Union Minister for Agriculture, Radha Mohan Singh and senior officers of the Ministries of Home Affairs, Finance, Agriculture and NITI Aayog were present in the meeting.